For the past several months, my blogging has taken a backseat to my education and internship. I’m sure no one would argue that this is a poor decision–I am a student, after all. But if one organization can inspire me to blog, it’s Greenpeace. Greenpeace consistently points fingers at those who they feel are destroying this planet by leaving a mess. In particular, they like to gang up on nuclear energy saying that it is by no means a clean energy source and anyone who believes otherwise simply must be under the influence of “nuclear industry PR(opaganda)”. Am I the only one who finds this disturbing? That the cleanest method of meeting the world’s energy needs is being hindered by Greenpeace, an organization that claims to protect our planet? The scariest part of all is that people read this “information”, and believe it. So really, the biggest mess being created is the lies spread around the world by these anti-nuclear organizations. Ok, so maybe I’m being a bit dramatic. But the fact remains that nuclear is the cleanest and safest large-scale energy source, and the more we hinder its progression, the more damage we do to the earth. 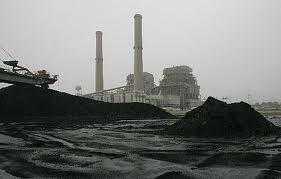 How many l ives are lost each year as a direct result of the coal industry? How many tons of carbon dioxide are emitted? How many natural gas explosions and coal mining accidents have to occur before we see the solution? I fully support the development and implementation of solar and wind technologies, but I also acknowledge that the world’s energy needs have exceeded what renewable resources can provide. We simply can’t run on renewables alone. To suggest that we can is misleading and untruthful. Compare the numbers on cleanliness of renewables versus nuclear. Check out the capacity factors. See for yourself why more countries are looking to nuclear power all the time. Don’t let the filth spread by anti-nuclear organizations hide the truth about our energy needs as a planet. Greenpeace asserts that their mission is to “address the number one threat facing our planet: climate change”. Yet they have the audacity to smear the media with lies surrounding our greatest opportunity for a cleaner future. So who is going to clean up after Greenpeace? it’s not just greenpeace, either. The WWF lie blatantly about nuclear power on their ‘G8 scorecards’. You can read more about that on the Nuclear-power, yes please blog. In assessing the emissions of the G8 countries, the WWF replace the numbers for nuclear with the numbers for gas, since they don’t like nuclear power! Do they understand the meaning of ‘fraud’? I find it amazing that they would willingly damage their credibility like that. Good luck with the studies, hope they’re going well. The “green” movement is a crime against humanity and anything sensible logic. When are you going to start posting again? We need you back on the blog and keep active. The more young nuclear engineers in the field. Check out http://www.inl.gov. Best of luck. I have been anxious to post again, particularly concerning Proposition 23, yet another sensible idea being condemned by the “green” movement. I took my GRE last night and am almost finished applying to graduate schools, so my attention has been elsewhere thus far this semester. But I assure you I’ll be posting again shortly! Thank you for your comment, I certainly appreciate the encouragement! I still remember when Greenpeace offered a letter exchange with ANS (each would publish a letter in the others’ newsletter). You can guess what happened: after Greenpeace got their letter published in ANS News they refused to publish a pro-nuclear letter. I have never been a fan of Greenpeace. Good luck in your studies. Glad to see that there is still a UC school with nuclear engineering (my alma mater gave it up in 1995). This entry was posted on August 3, 2010 at 9:27 pm and filed under Uncategorized. You can follow any responses to this entry through the RSS feed. You can leave a response, or trackback from your own site.